Chomping on his toes while demonstrating crazy baby flexibility. Yeah! Just what I needed! Baby Braden photos. Also a runner up: me. oh baby! me too. needed it. can’t wait to see him in a month. they are so freaking cute. Braden!! Can't take it. Love the toes! Oh my gosh. 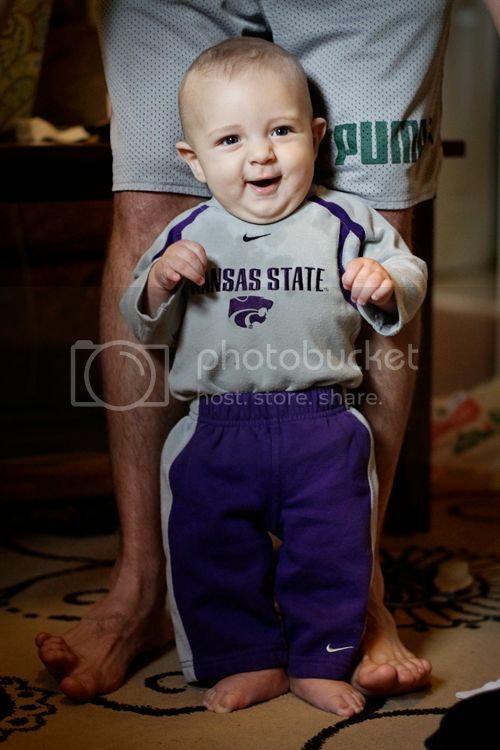 He looks just like Sol in the K-State picture!